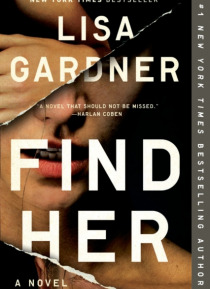 Lisa Gardner's runaway New York Times bestsellera fast-paced thrill ride featuring Detective D. D. Warren.Seven years ago, carefree college student Flora Dane was kidnapped while on spring break. For 472 days, Flora learned just how much one person can endure.Miraculously alive after her ordeal, Flora has spent the past five years reacquainting herself with the rhythms of normal life, workingwith … her FBI victim advocate, Samuel Keynes. She has a mother who's never stopped loving her, a brother who is scared of the person she's become, and a bedroom wall covered with photos of other girls who've never made it home.When Boston detective D. D. Warren is called to the scene of a crimea dead man and the bound, naked woman who killed himshe learns that Flora has tangled with three other suspects since her return to society. Is Flora a victim or a vigilante? And with her firsthand knowledge of criminal behavior, could she hold the key to rescuing a missing college student whose abduction has rocked Boston? When Flora herself disappears, D.D. realizes a far more sinister predator is out there. One who's determined that this time, Flora Dane will never escape. And now it is all up to D. D. Warren to find her.